This Hen & Chick will have dramatic and changing foliage colors throughout the seasons, purple spring leaves change to dark red summer color, fall and winter foliage is a deep purple-red. 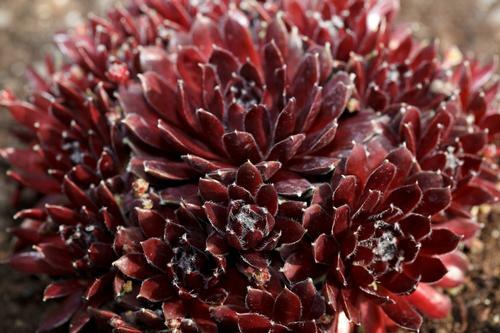 Very low-growing rosette-forming succulent plants. Propagates by producing runners with baby plants. Very drought and heat tolerant, requiring excellent drainage. Excellent for miniature gardens, rock gardens, or for assorted patio pottery.